You’ve heard that creating a blog is essential to growing your online audience. So you worked hard and started a blog…and no one came. Blogs do not automatically generate traffic to your website but there are many things you can do to prepare your blog for online discoverability, and to promote it outwardly to the masses. 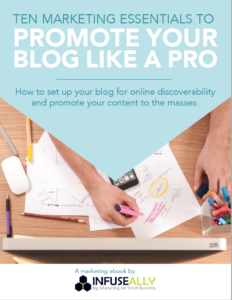 Fill out the form to learn how to set up your blog for online discoverability and promote your content to the masses.